4k00:28ISTANBUL, TURKEY - FEBRUARY 21: View of the mosque Hagia Sophia in Istanbul on February 21, 2016 in Istanbul, Turkey. hd00:21ISTANBUL, TURKEY - FEBRUARY 21: View of the mosque Hagia Sophia in Istanbul on February 21, 2016 in Istanbul, Turkey. hd00:10Winter in Istanbul. Hagia Sophia under snow. It was the largest cathedral of the world for 1000 years as of its construction. hd00:15TURKEY, ISTANBUL - NOVEMBER 12, 2016 , The Blue Mosque, (Sultanahmet Camii), and Hagia sophia , Istanbul, Turkey ( slow motion). 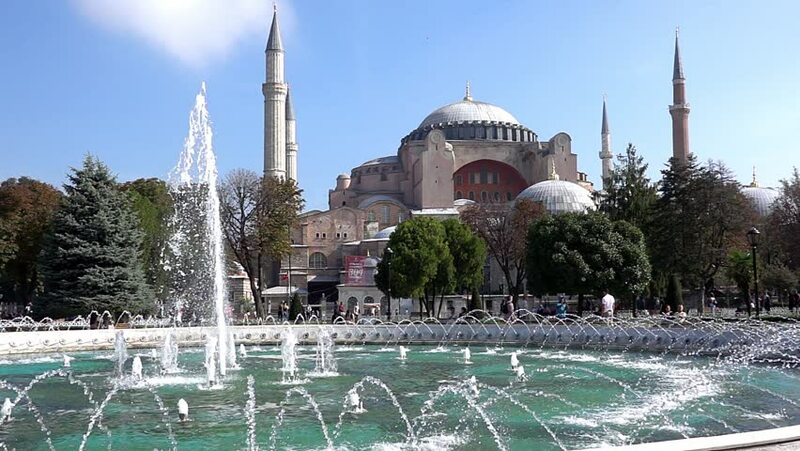 hd00:22ISTANBUL,TURKEY,MAY 5,2015: Fountain situated between Hagia Sophia and Sultanahmet Mosque, one of the most known tourist attraction point at Sultanahmet District.